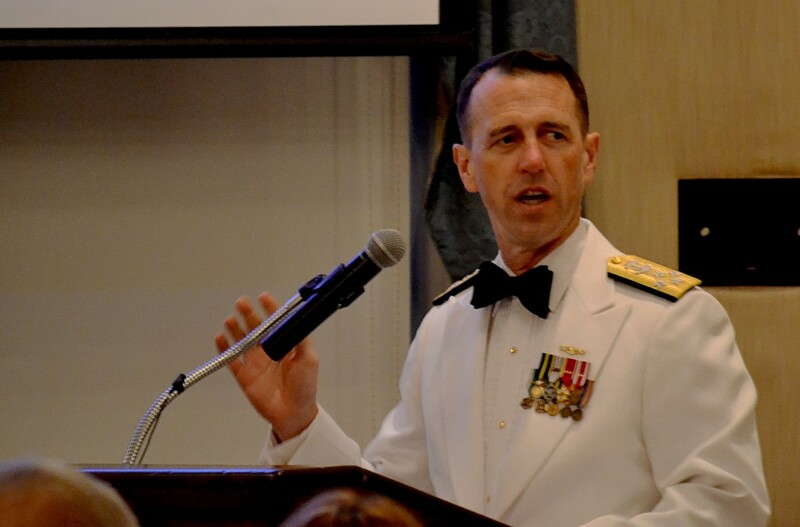 VIPs, invited guests, active duty military, and veterans braved torrential downpours last Thursday to attend the annual Battle of Midway Celebration Dinner at the Army Navy Country Club in Arlington, VA. This year marks the 73rd anniversary of the Battle of Midway, the pivotal World War II battle that changed the face of the Pacific Theater. The commemoration has been a major highlight for the Navy community since former Chief of Naval Operations Admiral Jay Johnson signed a 1999 message to commemorate both the 13 October Navy Birthday and the Battle of Midway. 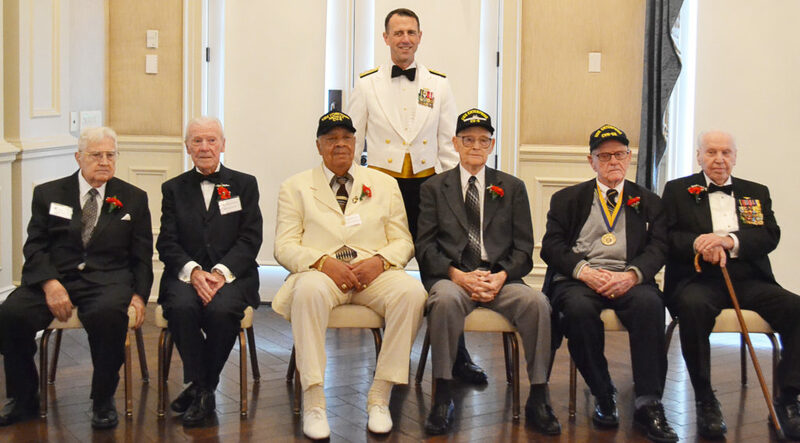 Since then, a core group of dedicated Navy and Marine Corps heritage organizations have worked tirelessly to put on a celebratory dinner to honor the men who fought and died there over seventy years ago. It was truly one of the greatest gambles in naval history that may have gone differently had Admiral Nimitz decided to disregard his naval intelligence at Pearl Harbor, which was the theme of the dinner. The weather did not dampen the spirits of dinner attendees, even if their clothing was. Many took advantage of the period before the dinner began to share a drink with old friends and shipmates. Some had the pleasure of talking to one or more of the six Midway veterans who were the guests of honor for the evening. Although Admiral Richardson claimed to be only an amateur historian at heart, he framed the history and context of the battle well. “It’s one of my favorite times of the year,” he said in his introduction to the main speaker. 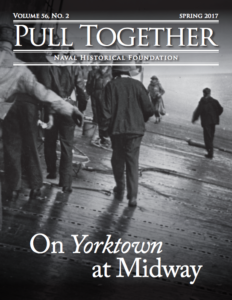 “Every time it’s the beginning of June, I begin to get in the mood for Midway.” He went on to describe how the Battle of Midway was truly “a game of inches.” Each turn in the battle added slowly to the decisive victory at Midway. With the two Task Forces split apart during the battle, things were often disconnected and uncertain. Richardson believed that the men who bravely faced the enemy amidst the mounting uncertainty won the battle. The sailors on ships like Yorktown (and their damage control efforts) were an “example of people just doing their best [. 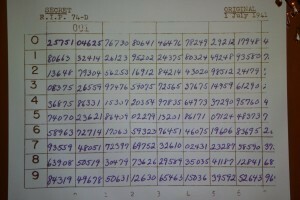 . .] that takes perseverance and determination.” None of this, of course, would have been possible if it wasn’t for the efforts of cryptanalysts and cryptographers at Station HYPO in Pearl Harbor. 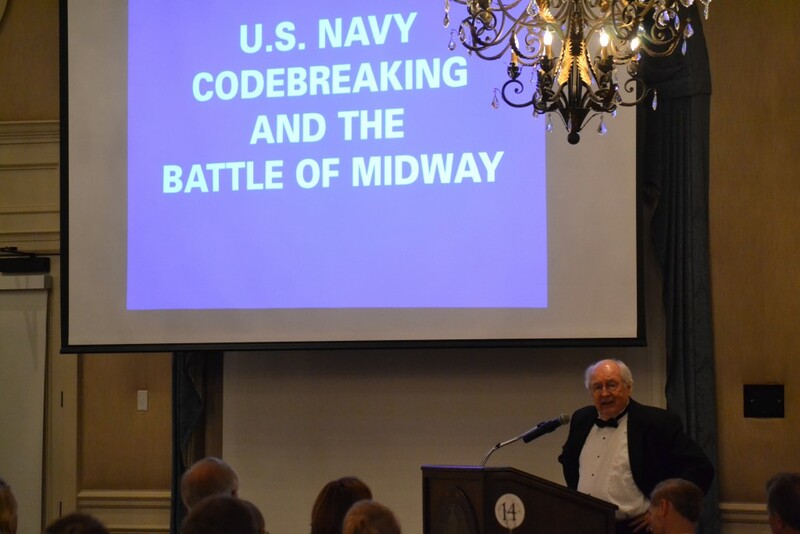 The highlight of the evening was Elliot Carlson’s keynote address about U.S. Navy codebreaking and the Battle of Midway. Carlson, a long-time journalist for several well-known newspapers and magazines around the country, has kept an interest in the Pacific War since the early 1960s. That interest propelled him to write the award-winning book, Joe Rochefort’s War: The Odyssey of the Codebreaker Who Outwitted Yamamato at Midway. Rochefort was the primary subject of his informative talk. He identified Midway as one of two major battles during the Second World War whose outcome was directly tied to Allied codebreaking. 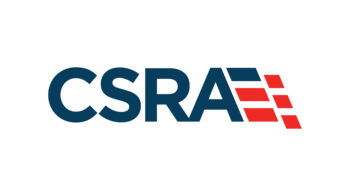 Carlson went on to talk about LCDR Joseph Rochefort, a rather “unusual officer” whose career path was as jumbled as the code he would eventually decipher at Pearl Harbor. Eventually Rochefort would rise in the ranks and good graces of men like Chester Nimitz, who grew to trust the intelligence fed to him regularly by Rochefort from Station HYPO, a drab basement located in an administrative building. Eventually, Rochefort and his team would push through the pain and frustration of twenty-hour days to eventually break the coveted Japanese JN-25 code, thus ensuring the element of surprise at Midway. 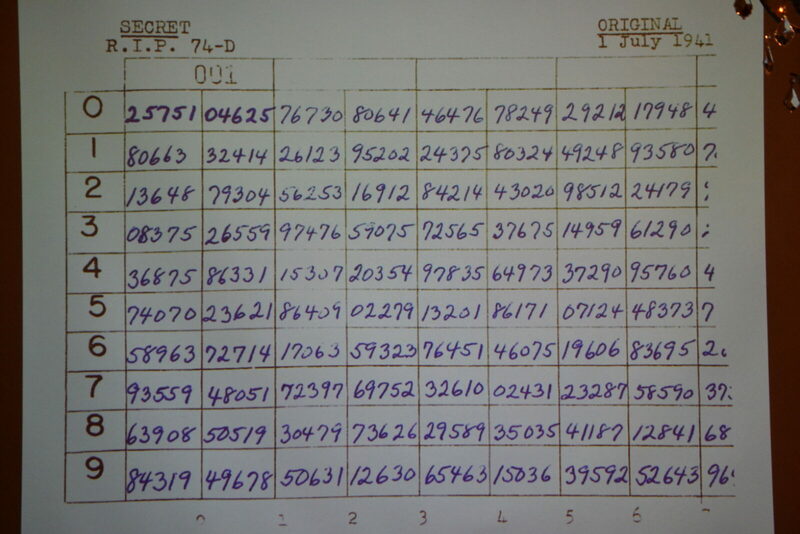 Carlson noted the “excruciating mental effort” needed to break the code, which surprisingly was done by pen and paper, not machine like the German Enigma Code. That herculean effort eventually trickled down to every man serving off Midway on 4 June. Carlson’s lecture confirmed Admiral Richardson’s comparison of the battle to a “game of inches.” Indeed, the heroism and sacrifice of the men we honor each year are literally the measuring stick of success for all servicemen and women today.